Soon I’ll be 38 years old. I often question whether I have used my time wisely so far to reach a daily happy existence and positively impact the world. At this time of year I dwell on the past 12 months and I regret all the times I was lazy. I wish I had not been scared to try new things. I wish I had not burned so much time and energy obsessing over trivial things. But before I get down on myself too much and before I set my goals for next year I feel it is important for me to list a few of the things I feel grateful for in 2017. The year has had some highlights and I believe to live a mentally healthy life it’s important to take time for gratitude and perspective. I guess sharing this is more for my own personal benefit rather than for you readers, but perhaps you will find a few things interesting and it will inspire some of your own reflections on 2017. I got engaged to my girlfriend Stephanie. 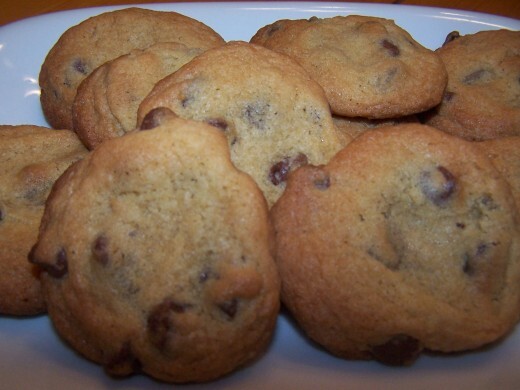 I ate Stephanie’s Nestle Toll House chocolate chip cookies. I ate my mom’s cake. I worked on my diet (a recent endevour). I developed a morning ritual. I developed my idea muscle. I started getting more sleep. I learned the concept of 54321. I worked on investments and even bought a few tulips…er Bitcoin. I traveled to interesting places for business and pleasure. I visited San Sebastián, Spain, with Stephanie. I met many new people—some better than others. I began some new relationships—both personal and professional. I worked on my negotiation skills. I gave to charity (but not enough). I volunteered (but not enough). I helped Graff-Pinkert go from two so so years to an excellent one. I took lovely rigorous jogs. I got to be artistic (but not often enough). I learned about INDEXs, and Nakamuras and Schüttes. I listened to fascinating books and podcasts on my commutes to work that hopefully changed my life. I watched fun movies and TV shows like Vikings and The Last Jedi. I planned a little for the future (but not enough). I watched the Cubs beat the Nationals in one of the craziest baseball games ever. I spent time with my family and got to work alongside my dad. I felt gratitude and appreciated life when I remembered to. Question: What are you grateful for in 2017? I am grateful that soon 2017 will be in my review mirror of life , 2017 took too many people from me this year , I pray 2018 will be a much better year for ALL . I guess I’m grateful I didn’t lose more friends , it goes along with age. I am grateful that God has chosen to wipe some of the muck out of my eyes this year so that I am able to see more clearly His face in the people around me. I could wrote a list as long as Noah’s but I just want to say I am grateful for America, I know it has take a beating this year unlike any previous years but it is still the best place to live and enjoy freedom. And most important thing: to worship how you want. so here, here, for a better 2018 for my sweet land of liberty! Thankful for my country and Government. I’m thankful for Noah and the Graff family. “I asked for all things that I might enjoy life. Part of a prayer I recite each day. I am thankful for many many blessings this year. Business is good and my family is healthy. On a side note I am grateful that Hillary is not the president. I am grateful for a President who cares about our bottom line, our security and our sovereignty. Most of all I am grateful for my health and the health of my family and friends.